We have entered times of great transition. 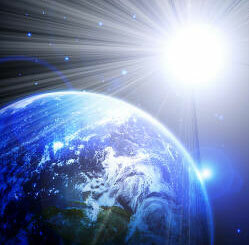 A new earth is emerging. People are awakening. But old structures are crumbling around us and new ones are not yet in place. Many are experiencing great uncertainty and confusion. We are living in exciting times. Visionaries, spiritual teachers and indigenous elders from traditions across the world are telling us we are entering the “Shift” — a time of great transition for the human race. 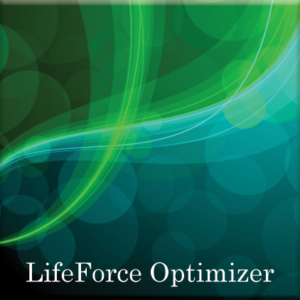 We are in the process of preparing for a quantum evolutionary leap in consciousness. Many of us can see this shift beginning to take place in the world around us, as old paradigms and structures based on greed, exploitation and patriarchal ideals are slowly beginning to collapse. At the same time, new ones based on justice, compassion, and equality are beginning to arise. People are uniting with greater and greater empowerment, asserting their desire for peace and respect for all beings on the planet. Humanity is awakening. Many of us are also feeling extraordinary shifts happening within our own lives. We are awakening to a new consciousness. Old painful patterns are arising, along with unprecedented loss in our relationships, our work, and our financial situations. Our old sense of identity and feeling of safety are being challenged. Intense emotions seem to arise out of nowhere. Yet, at the same time, exciting new experiences filled with awakening, joy and freedom are also showing up. At times, we feel love radiating from our hearts like never before. And a knowing of oneness with all that exists. Something both ancient and brand new is emerging within us—majestic, bold and powerful. It’s clear something old is dying—and something new is being born. A whole new era on earth is opening up before us. What an extraordinary time to be alive! Some have called this shift of consciousness occurring on the planet a “dimensional” shift: a shift from the Third Dimension into the Fifth Dimension. In this dimensional paradigm, humanity is seen to be in the process of a profound awakening of the spiritual Heart. And the earth—along with all its inhabitants planning to stay on the planet—will be awakening to the Fifth Dimension within the next couple of decades, if not sooner. 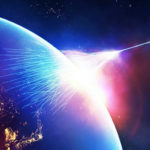 This awakening process will begin with a powerful solar event that has been called the Event, which will lift both the Earth and humanity into a radically higher frequency of consciousness and begin the process of full ascension into the Fifth Dimension. This radical shift ahead of us is the reason for the profound and rapid changes, both positive and negative, that people are experiencing during these times. 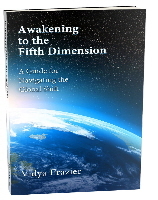 Read more about awakening to the Fifth Dimension. Before we can enter fully into this new age of living in the Fifth Dimension, we must first move through a period of transition from third-dimensional consciousness. On the verge of rebirth, we are now moving through what the Mayans call the “time in between”. The old is beginning to crumble—and the new has not yet fully arrived. It’s a time of confusion and uncertainty. Those of us on a conscious spiritual path of awakening know that it is not wise to fall into negative, conditioned reactions during times such as these. Fear will not serve us. This is a time rather to become prepared—both spiritually and otherwise—so we can be as strong, steady, and awake as possible to make it through the coming times with clarity and ease. And it’s a time to learn how to stay awake, no matter what is happening. More than ever, it’s a time for us to step forward, in whatever ways we feel called, to do what we have come here to do this lifetime and help usher in this new era of human life on the planet. But, even knowing all this, it is not always easy to do—awakening to the Fifth Dimension is a huge step in evolution we’re taking. And during times of great change, it is natural for us to feel confusion, anxiety and unrest. 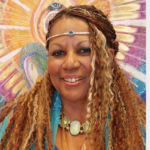 As a licensed psychotherapist and Quantum Healer, Vidya can help you to find secure footing within yourself during these shifts and in awakening to the Fifth Dimension. 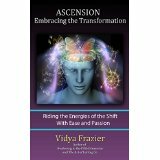 Vidya’s books describe in detail what many of us are experiencing on our journey into 5D—and also the deeper reality of what is occurring in the world behind the scenes. The books are easy to read and serve as an effective way to introduce the information to friends and family members. A good book to begin your journey with. This goes into more detail about the personal ascension process. This introduces you to the deeper picture of reality that all of humanity is currently waking up to—and the profound liberation we are beginning to experience. You chapter on the “Inner Shift” resonated with me and I would love to have you guide me through my “dark night of the soul”. With much appreciation and love. Through astral projection I have had a glimpse of the future in a spiritual body. The second man Adam, one who is born of spirit not matter. Just as the womb sustains the physical, so does our body contain the spiritual learning of our existence through many incarnations. The astral is connected like the umbilical chord to the physical body, and is only separated at the time of death. 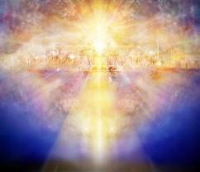 When the spiritual body has gained enough experience through physical incarnations, it will be born again into the spiritual realm where it will no longer need a physical body, but can manifest as one at will. This is divine wisdom and must be treated as such. As Jesus said “I will give you what has never entered into the heart of man” This is quoted in the book of Thomas. Hi. How were you able to astral project? Did you use certain techniques or did it come naturally? i am already going through different phases of awakening. i have already started my assignment deep in the society and very few people are understanding or atleast glasping.i thought i was going clazy but after doing so much research in my neighbourhood,country,and other world events,i fully came to have certain kind of awareness that never existed before please contact me and i will give you my fullstory. Hi Daniel–You can contact me through email. Get that address on http://vidyafrazier.com/ at the bottom of the page. I’d love to hear from you. Did the mayas or someone else also forecasted when, around which year, the complete earth will be shiftedinto the 5th dimension? How long this transition time will take, approximately, for all beings together?? I am not aware of any precise predictions from anyone who has been credible. I think no accurate prediction can be made, due to the element of free will humanity has. However, my inner guidance tells me that it will be within the next couple of decades. The important thing to understand though is that we don’t have to wait to have life push us into the Fifth Dimension when the Earth decides it’s time for her to enter it–it’s available to us when we are each individually ready beforehand. I know and agree with all that you have written. (didnt like the part about the shift happening in the next few decades lol) Anyway, I discovered the path about 10 years ago and that has brought me a sense of calm away from fear (coming from strict Christian background) The past few years I’ve taken some steps backwards when my elderly mom moved in with me. I don’t meditate any longer etc. I know its just an excuse but i need some guidance. I get up very depressed but then i focus on the positives and i feel that by uplifting others and get them to see “The Truth” Spiritually that is. I’ve been told by a few ppl that I’ve changed their lives but I’m not progressing and feel stuck. Please could you comment on this. 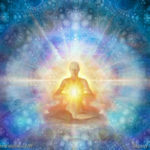 Hi Paulo–It sounds as if you may be working through the finishing of karma with your mother at this time and that your awareness is being kept in that vibration–one that is likely not as high a vibration as you have reached into in the past. This is a call for bringing in as much love and intention to finish the karma as you can muster. Don’t worry–it will happen–karma with family members is happening now for many during these times. Do not think of yourself as “stuck” or moving “backwards”. You’re simply moving “through”. And the more attention and intention you put on that idea and feeling, the more it will propel you through the uncomfortable feelings and judgments about yourself and bring you into a higher vibration. Finishing karma is all part of the journey of Ascension. How quickly you move through it depends on how strong your intention is to complete it. It’s important to focus on loving yourself during the difficult periods as karmic patterns release–no mattering what you’re feeling. And bring love to everything that arises within you. You will be serving the collective as well as yourself in doing this. 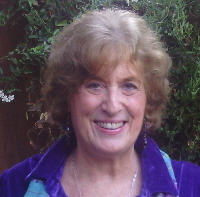 Hi Sari — an amazing story, how quickly you realized the truth inside of you! It can be heart-breaking to not be able to reach family members with what you know and understand. If your attempts with words have no effect, the best thing is to simply love them exactly as they are–and to live your own life based on your own values and wisdom. If they are ready at some point, they will notice how at peace you are and how well you are living your life–and they will want to know more about what you know. AND they might never be at that point. Not everyone as souls has chosen to make the transition to the Fifth Dimension. Some souls are choosing to leave the planet before the earth makes her transition and will be taken to other places in the universe that still offer the Third Dimension experience. There is no right or wrong or better or worse choices in this matter. Each soul makes a sovereign choice about what is appropriate at this time in their spiritual evolution. Simply continue to love your family and respect whatever choices they make in their belief structures at this point. There’s no point in arguing or trying convince people about Ascension or the Fifth Dimension. And continue to follow your own heart wherever it takes you in your own evolution. This is what’s most important. I was born through great hope and knew things from a very early age (4 years old) and my mother knew. She and i had a special bond. Many lessons were brought to me. I became frutrated. I gave way to “normal” thinking. I lost my mother to cancer. I never cried. I had just gotten married to an abuser . I got out, but I bounced back and forth from what I should have been doing and shouldn’t and my reasoning was altered. then i thought I found someone I could live the rest of my life with. we got married. Two weeks later my father died. Everything changed yet again. There were challenges I was willing to take but my husband was not. I think I became devastated and angry. in the next ten years, I settled. Through all of this I became ill. I did things because I felt angry and alone. I felt I had given up everything for a lie. I searched. People saw the special potential inside of me Natives, people of sensitivities, healers, and others that looked presumably ordinary. I reaffirmed the need for health, went to a healing center for pain management, and found out I was pregnant, but I had been taking the prescribed medicine for three weeks…I quite. I felt amazing through my pregnancy-alive and robust.At 7months I fell, tearing all of the muscles on the one side of my body trying to catch myself. But, for a person who had surgeries in the past ans so much abdominal scar tissue that “she would never carry full term if she became pregnant…” I gave birth to a healthy boy of over 10 pounds, 10 days after my first set of contractions and 8 days past my due date. I believe things about him are different as well, but my marriage never fully recovered. Now, my son is angry at , well everything and has so little hope, but knows that things are about to go through a big change. I am a skeptic by nature , perhaps not my true nature, but I do like to test and retest everything to prove beyond most doubt . This is why people come to me for advise. But, I am back at the crossroads. I want certain things, longing for my past happiness when my mother tried to show me beauty in life around us. What do you see in store for me? Wow, you’ve been through some rough times. I’ll contact you by email with a response to this. Im not really one for conspiracy theories but one cant ignore whats been happening in recent months and it seems to increase in intensity, ISIS, Climate aka storms, Volcano’s Floods, Racism in US, World markets etc. link to this article below. Please reply via my email and this blog if you dont mind. You’re right—there has been a lot of speculation as to what might happen in September by a number of people—from channels to visionaries to mainstream analysts. I only have time to skim most of what comes into my inbox from people. But it does seem as if there’s likely something to it all. My hunch is, that if something does happen, it will be on the political and economic fronts, as there are so many events occurring even now that seem to put us on the tipping point into some sort of drastic change. I have heard similar kinds of predictions of disaster or dramatic change before, a number of times, in the last few years, however–and nothing dramatic happened. So we never know with these things. Nonetheless, we all know many things are in the process of shifting during these times. The old structures are crumbling, and the elite is trying to hold them together and create events to maintain their control. But in the end, their efforts will be fruitless—humanity’s consciousness is awakening too rapidly and there are fifth-dimensional energies now beginning to flood the Earth to assist this awakening. Meanwhile, however, chaos may have to reign for a while as the old falls away and the new is not entirely here yet. We’re undergoing both a death process and a birth process–both of which can generally be messy. 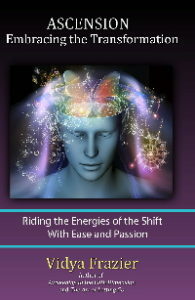 Where can I find the chapter on the Inner Shift? I am writing because I am awake and have been for about 6 months. The only way I know how to explain what is happening to me is like this: I sent on an infinite plain of silence, with my subconscious listening and interpreting to my conscious about how to act on this 3rd dimension. I have learned that being on this plain of infinite silence is everything and nothing. I have also learned to be an observer of life without emotion and to not speak things into existence because it is all chaos. What I try to explain to people is that we live in a pool of complexity…i.e..religion, race, politics and it’s all an illusion. I have also tried to explain to people, you should handle all situations with the thought of unconditional love in you heart as you approach a situation. As an observer, I understand that people will cause you to participate in events and after the event is over, you should come out of the pool of complexity, wipe away the things that bound you to that event and go back to your infinite plain of silence where everything and nothing exist. As I see it, humanity is so emotionally frail, it is very difficult to have people transcend through their own norms. I just finished reading many lives many masters… Dear Vidya, when you say finish your karma with this person..how do we do that? I know there are certain difficult people in my life that I have distanced my self from, in order to avoid the pain. But also have a strong feeling that avoidance is not the solution and that I need to work out my Karma with them. How do I do that? Please help. Unfortunately, there’s no easy answer to this–as our karma with other people is all unique, and resolution of it is thus also unique. However, I have found that intention to work through the karma and to learn what is needed to learn is key. It’s important not to see “karma” as punishment. It’s a balancing mechanism, designed to help us learn and awaken to our true selves. If you have been avoiding certain people to avoid pain, it may be time to decide you wish to learn what you as a Soul set up for yourself to learn by being in relationship with these people. In one way, you can see difficult relationships are all about opportunities we’ve given ourselves for learning, growing in awareness, and ultimately transitioning into higher consciousness. They can be seen as opportunities–not problems. With this approach, the resolving of the karma is made a lot easier. With Ascension now happening to all of us, all unclear relationships are going to be coming up to be resolved, one way or another. So it can be very empowering to decide to be proactive, so to speak, and call up the unresolved karma you have in your relationships and to consciously work it through–rather than just allowing it to wreak havoc and suffering in your life. This can be easier said than done, I know. But with intention and self-compassion, it need not be a painful process. You will come to be aware of who these people are on the Soul level–and realize the unconditional love you have for them and have likely had for many lifetimes. I just wanted to comment to Sari. I am awakened and I embrace the shift. 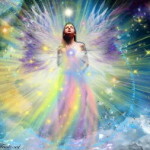 I am also a lightworker and I have a high natural frequency of healing. I was raised as a christian and even as I went through my awakening I would not say that I’m no longer a christian. Jesus Christ went through his awakening and wanted to teach man the powers they possess within themselves. We were created by a divine power greater than ourselves that has put us here with a purpose and a plan that is shifting us into a fifth dimension. Many people have different names but I personally believe that divine power is God. Being awakened to my life purpose only makes me stronger in my spirituality but I definitely would not say that I’m no longer a christian. Just because man has taken christianity and spun man’s perspective on it and overtime chosen to pick and chose what parts of christianity they want our society to live by I don’t believe that makes me no longer a christian. If anything I feel I learn from Jesus Christ our purpose in creation so what can be anymore christian then that? I may not follow organized religion in modern day christian churches because many are stuck in believing their purpose is one that society has made them believe but then that’s my purpose to help awaken people. One person at a time. We definitely possess the power I have no doubt but I wouldn’t go as far to say I’m not a christian especially if I knew that may upset someone I love because with that strong of a statement I think it may alienate or scare them from embracing the awaken consciousness when nothing can be more spiritual. Everyday I feel like I only grow stronger in my purpose and becoming closer to god and that is the goal your parents wish for you as a christian. Vidya Frazier I love your website. And just one last comment to Srividya Shivkumar because I have had that same question myself and I learned my karma I had to finish was on a positive level. So that is an excellent point Vidya because I feel like I was looking in the wrong areas for so long not realizing Karma can also be positive. But thank you again for your website Vidya Frazier and thank you for the opportunity to comment. In this recent times, I feel so alienated from the society. Modern activities like parties, games,shows, worldly music don’t freak me any more.I am just so grounded,and my antention is based squarely on spiritual enlightenment. Is this really a sign of ascension on my part? please reply I need your guidance. ive suffered all my life. lucifer visited me as a babe. then attacked and controlled by demons since age of 5.
a vision of good spirits told me to use the wishes granted to me,to rid the demon after 40 years and no more. hell on earth for me then! ive awakened big time since spring 2015/end of 40 years i had to grant,endure. feel like some kind of rogue/good antichrist. not willing to play ball with evil! I always have dreams of adventures .please, is there any spiritual meaning to this? please reply. THANKS. I had a vision of a surrendered king piece on a chessboard. Surrendered ego? Jesus Christ spoke long ago to me and others about structures and energy. you see, wine, water and blood where often used as symbols as energy.” But you don’t put new wine into old bottles”. Wine represented the energy and the bottles represented the structures. 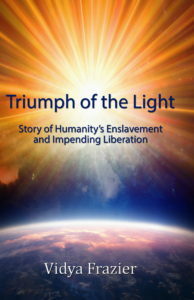 Hi Vidya, I just finished reading your book, “Triumph of the Light” and wanted to congratulate you on your courage to expose what is really happening out there, which is the cause of so much of the misery upon this planet. I am one who is very aware of what “the Cabal” are up too and it was refreshing to see that you and many others are starting to bring to “The Light”. The Cabal is a group of very evil, satanic people who have been overseeing the world for centuries and really do have a ‘depopulation control’ agenda in mind, where they want to remove 70-90% of the world’s population. We have to hope that the Light Alliances will be able to win out before it’s too late. There will be much struggle and resistance as the light shines upon us, but the fight will be worth it. I also wanted to let you know about a book I read that follows much of the same thinking as your book called, “The Day of Reckoning” by C.H. Perry. The end of the book depicts a possible world when good would be in control instead of evil. Really worth a read! God bless! About a year ago I randomly stopped at a garage sale in my neighborhood. The house was nothing special, set a little back from a curve in the road. Books at a garage sale are not something I typically am interested in, but at this one I found an entire box on yoga, breathing, metaphysical studies, etc. Eureka! Tried to talk with the owners of the books but family hindered the communication. That was a year ago and only today I picked up your book, “The Art of Letting Go, A Pathway to Inner Freedom”. The 1st chapter had me totally absorbed because you were describing my life…depressed, yet having the spiritual tools and know how to know better and lift myself out. But all efforts are short lived. Another book on the shelf was “The Fifth Dimension” by Vera Adler. I honestly got bogged down about 1/2 way through. I look forward to reading the remainder of the book…learning techniques to pass through this stage of my journey. Perhaps I will contact you for an appointment after the reading. Thank you! I have a sister who is mentally challenged. She is very sociable and, at times, very aware of her disability. I was wondering how someone with her limited abilities could be taught about awakening to the transformation taking place during our time on Earth. My sister definitely understands the concept of God and, when I tell her how special she is in God’s eyes, HER eyes light up and a mile-wide smile appears on her beautiful face! Can you give me any suggestions on how to help me gently explain some of what is now taking place on Earth that would plant some “seeds” of spiritual awakening within her? Also, do you know of any reading materials written on explaining this concept to those with limited mental capacities? Or, do you think that I should not say anything but hope that somehow her inner feelings would be enough to awaken her on her spiritual path to the Fifth Dimension? Hello Denise: You know, it’s hard to tell–but it’s possible your sister may understand about the vibrational Shift the Earth is taking very well within her being–it might not just be on the level of the rational mind or something she can articulate with words about. The Shift, after all, is something that is occurring beyond words, beyond the realm of the rational mind. It’s basically an enormous shift that is occurring in the Spiritual Heart. If your sister is a good-hearted, loving being, she may well be making her way along the path of Ascension–just not in a way that may be observable to others. Actually, mentally-challenged people often have an intuitive knowing about things that others don’t have a clue about. I wouldn’t worry about her. If she’s a Soul who has decided to make the voyage into the Fifth Dimension, she will find her way to do this. The best thing you can do for her is keep enfolding her in your love and holding light for her in whatever way you can. 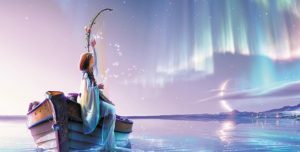 Trust that her guides are leading her along her spiritual path in the best way possible. All is well. Thank you so much for all your work. I have been experiencing an awakening off and on since I was four years old. Back then in the pentecostal chruch it was called being “Filled with the Holy Gost” 😁 I am now 45 and I have gone through a full blown Kundalini awaking in the last 7 years. I have traveled through meditation some where not of this world beautiful but I don’t know where it is and also don’t know much about 5D demision. It took me some time to even figure out what was happening to me as there was no one a round me that had Experience an Awakening. I was wondering if you could point me the right direction as far as learning. Have open up a camp for children with PTSD apart of the program is I want to help heal the hearts and minds of children and give them back there voice and their power through love. That being said I am on a knowledge seeking mission. Thank you, Vidya, for your site, words and videos. Your email page is not accepting 2019 as the current year so I am trying to contact you here. I especially appreciate your vid on The Event and your explanation about the AI implant at birth. I was saying “yeay!” while listening because it resonates. It is such a relief because I never felt like my negative/hating thoughts made sense or were deep down the truth. Yet, I felt an intense war in my head with these thoughts and failures and tragedies making me feel powerless to change them. I always thought there really was something wrong with me. I don’t anymore though I am still not completely free. I believe I am on the Ascension path, probably have been all my life. I have struggled and suffered and believe I have been an empath surrounded by crazy people misunderstanding and hurting me and trying to put out my light. Yet something deep and strong in me underneath all the troubles and depression has made me somehow wise and able to see through people and crap even though it has not made it any easier! In the past 7 years since Dec 2012, I have been experiencing extreme loss, tragedies and traumas, everything going wrong, nothing going right, everyone blaming and deserting me so that I have been living pretty much alone and in a kind of isolation working on inner healing and not much else. It is interesting that my life and shifting has been so painful though it is making more sense these days. There is much more but suffice to say that my shifting has created a current set of decisions for me for practical and professional reasons as well as spiritual. My dilemma is I am living in NYC and been thinking about moving to Hawaii but am so very confused. I also have a confusion over a healing/teaching-type business idea and conversely still wanting to perform which has been a pursuit for as long as I can remember but has never really broken through. If you think you may be able to dialogue with me on these issues, please lmk.